I've been concentrating on preparing figures for my next game, a Weird War II adventure using ther Savage Worlds system. 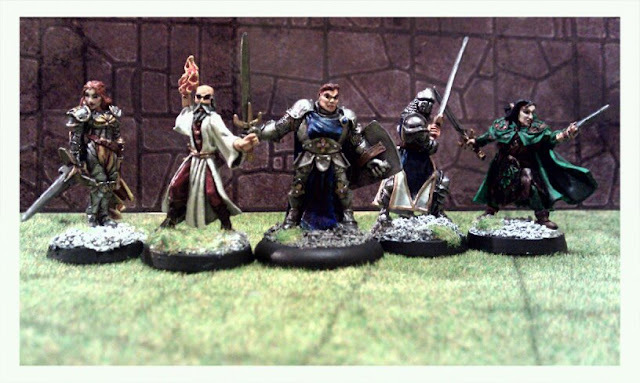 But i've painted quite a few figures for our Dungeons & Dragons games. Using figures just makes life so much easier for everyone and helps to focus our imagination. 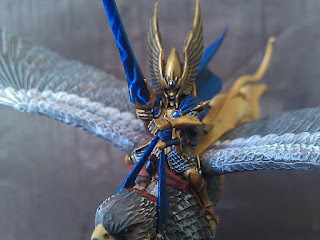 The first figure i'm going to share is my Paladin mounted on his trusty Griffin. I was particularly pleased with how well this came out. I'm not the best painter in the world by a very wide margin, but I enjoy it and like what I produce. I won't win any competitions but the standard I can manage is perfectly fine for a table top game between friends. For main player characters and big nasty Non Player Characters (especially recurring Nemesis types) I generally prefer good quality figures from Reaper Miniatures or Hasslefree. However, there a huge number of good miniature makers out there and i'd encourage you to try some of the smaller companies like Crooked Dice Games Studios and anything at all from Foundry Miniatures Fantasy ranges which includes everything from Elves, Knights, Orcs, 2000AD characters and the excellent Street Violence range. As is usual when preparing figures for a tabletop game, your probably going to spend a lot more time on the player characters than on the poor unfortunate grunts they're going to be beating up. Which is a good thing because you'll probably need a lot of grunts. I've painted loads of Orcs, Dwarves, Humans and Dark Elves for our games and I feel its important that they look good without taking so much time that they're not ready when you need them. 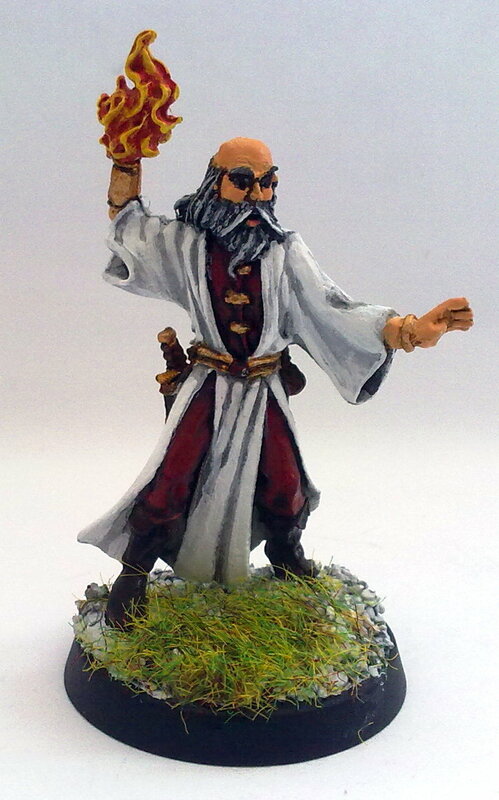 I really like Mantic for the rank & file NPCs, you just get so much for your money. 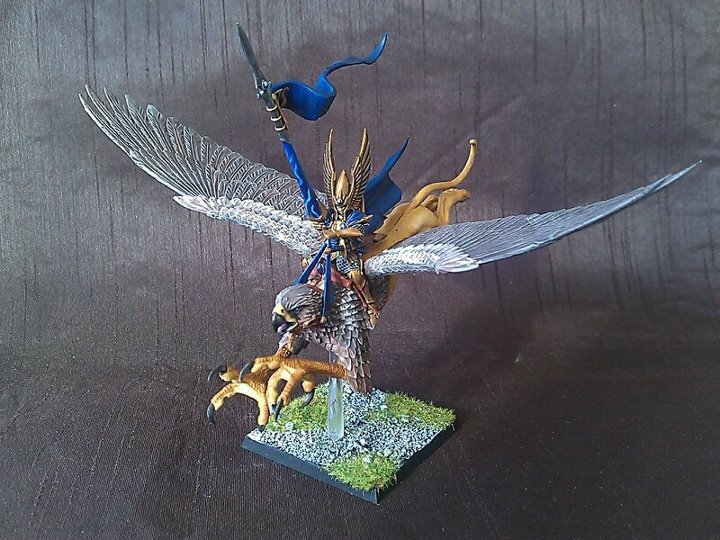 For £20 you can often get up to 30 figures and the quality is very good. Admittedly the range of poses is limited but its never bothered us in our games so far. Another good place to get large numbers of figures is of course Ebay. I picked up a job lot of Lord of the Rings Orcs and Rohirrim which i've painted in a more Dungeons and Dragons style. 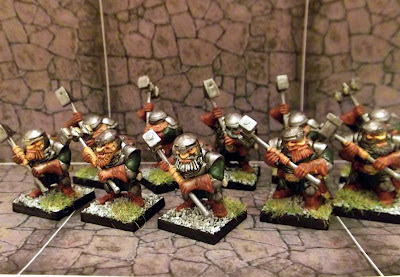 Cheap well sculpted figures that fill up your GM's dungeon nicely but don't break the bank. I suspect this blog is read by me and me alone, but it serves its purpose to remind me of my progress and achievements. If anyone else stumbles over it and gets some enjoyment or inspiration then that's a bonus! Now you have a new reader other than yourself! Well your very welcome Jose! Don't be shy about telling me what you would like to see posts about.